Make a blinky cat pin, learn to solder, get an introduction to AS220 Industries! No experience required, come learn the basics of electronics in this easy-to-assemble project. Instructor: Katie Gradowski. Build a microscope and take it hope! At our DIY Community Microscope workshop, we’ll guide participants through building their own microscope with affordable materials: cardboard, bolts, webcams, and tape. Instructor: Jeff Warren. Colorful ‘zines, single-page artists’ books, posters, and flyers can all be created in large quantities using the offset. 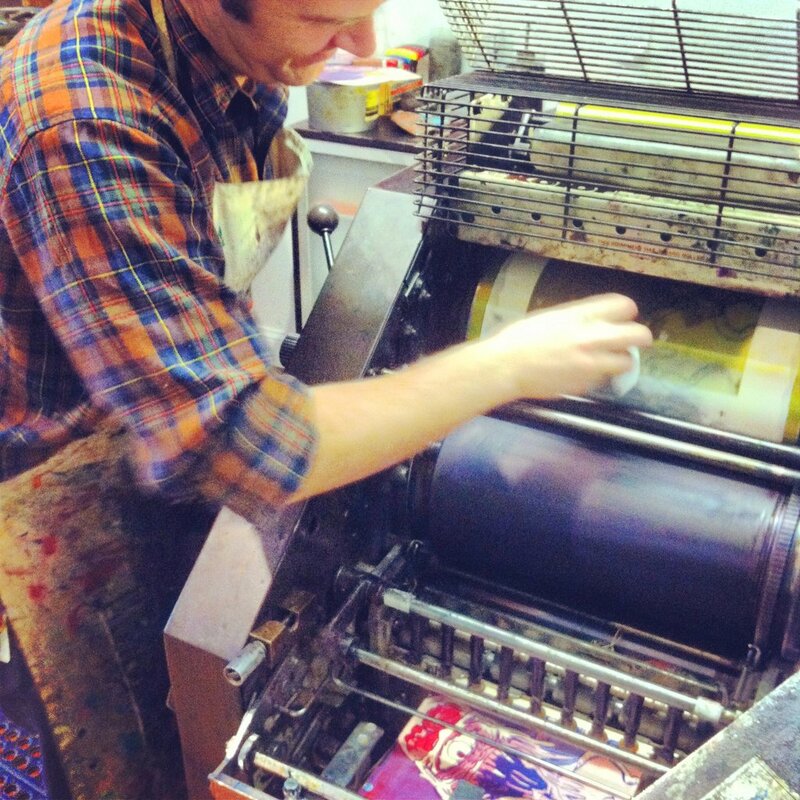 Get certified to use the ABDick Offset Press in this four-week intensive class. Instructor: Jacque Bidon. So you’ve started screenprinting but you aren’t getting the results you want? This class may be for you! Color / texture / surface / pattern in (silkscreen) will help you loosen up your practice and review the mechanics and techniques in silkscreen.